Paint Protection Film preserves your vehicle’s good looks without changing its appearance. With industry leading optical clarity, our paint protection film lets paint colors show true, all while creating an invisible shield to help protect your vehicle. Defend your vehicle’s vulnerable areas against abrasions, nicks, scratches from insects, small road debris, and winter sand and salt for year-round protection. Paint Protection Film provides the best option for keeping your vehicle in prime condition. And it is certain to enhance its quality and resale value for years to come. Paint Protection Film is manufactured with technology that maximizes durability and provides a high gloss shine. You don’t have to worry about the film yellowing over time. Paint Protection Film is recommended for factory paint and is easy to clean and maintain. It won’t affect your painted finish — even if you decide to remove it. 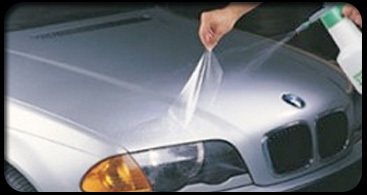 Applicable to hoods, mirrors, fenders, door handles, door edges, bumpers, and more, Paint Protection Film can be computer-generated and cut precisely to factory specifications to ensure a perfect fit every time.